After her own experience with the production at her high school, CHS drama teacher Gracie Poletti brings “Diary of Anne Frank,” featuring Hayley Armstrong as Anne Frank, to the CHS black box theater starting Dec. 7. 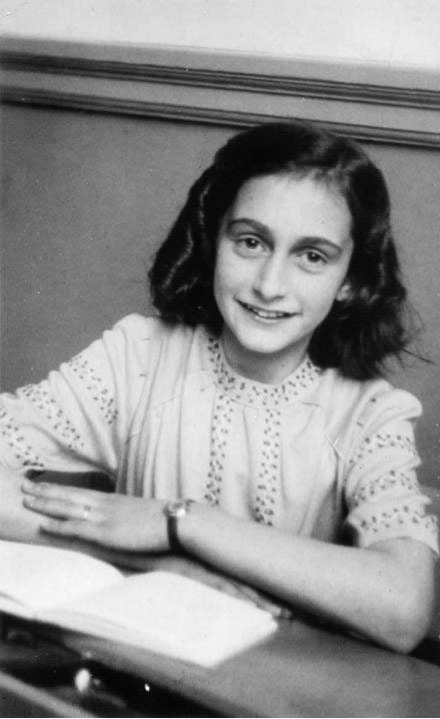 In 1995, material omitted in the publication’s original version regarding Anne’s burgeoning sexuality and confrontations with her mother was released in a new version of the diary. Because of this expanded material, an updated version of the play was also released, though Poletti chose to use the original version for the CHS production. Naturally, the play and the diary share much of the same material and stories, and both span two years in time, but the main difference between the two is the starting point. Due to this difference in starting point, the entire play is set in Amsterdam in the “secret annex” in which the family hid. Though it takes place in the Netherlands, to avoid distraction no actors will use accents, other than using the correct pronunciation of European names, including Anne Frank (Armstrong), Otto Frank (Zeke Spooner), Edith Frank (Rachel Bagby) and Margot Frank (Mia Poletti). Although the Frank family had to be quiet daily from about 8 a.m. to 6 p.m., Poletti hopes to capture the vibrancy of their life at night when they carried out necessary home activities. Because the book consists solely of Anne’s diary entries, the play will simply use blackouts to indicate passage of time between the entries. “Diary of Anne Frank” will play on Dec. 7-8 and 13-15 at 7 p.m. and on Dec. 9 at 2 p.m. in the black box with tickets bought at the door for $10 per adult and $5 for students with an ASB stamp.